"Qualigens" Lab. 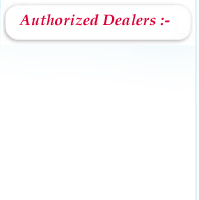 Glass wares, Filter Papers, Chemicals, CultureMedia,Disinfectants,Liquid Handling Instruments, Water Test Kits. Laboratory & Industrial Chemicals Surgical Items, Test Sieves, Scientific Instruments & Equipments, Thermometers, Silica ware, TLC Plates, HPLC Columns, Membrane and All kinds of Labware & Accessories. We bring forth an expansive range of Manual Manifolds that are in great demand in diverse kinds of industries. 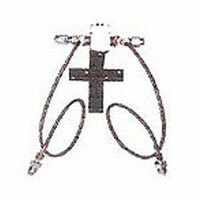 These are manufactured using high quality raw material sourced from trusted vendors of the market. Our professionals keep track on the recent technological trends and apply these to the undertaken production processes. We provide Fume Hoods that are manufactured and supplied at cost-effective prices. These are apt for protecting the laboratory against acid fumes. In order to evacuate the tapped chemical vapor inside, these hoods are provided with the support vase that can be connected with an blower. Moreover, we offer customized solutions with this range as per our clients’ specifications. We offer high quality Gas Flow Meters that are made using best quality raw material and sophisticated technology. These are known for their digital quality. 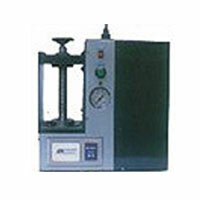 Our clients can avail these meters in varied specifications in order to meet their specific needs and requirements. There is a huge demand for these in diverse kinds of industrial applications. 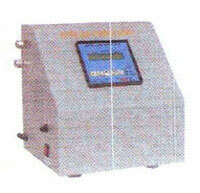 We bring forth a prolific range of Digital Automatic Manifold, which is in great demand in hospitals and laboratories. This is meant to supply gas in an uninterrupted manner and lights installed therein indicate the status of the gas passing through. Red light is the depletion sign, green light shows the used bank and the yellow light indicated towards the reserve bank. 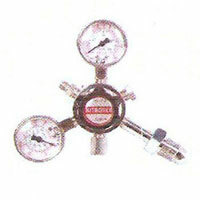 Primary and secondary bank and the delivery pressure line are monitored by pressure gauges. 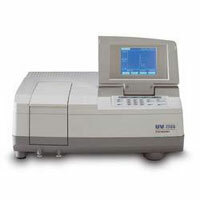 Leveraging on our extensive industry experience, we put forth UV-Visible Spectro Photometer. 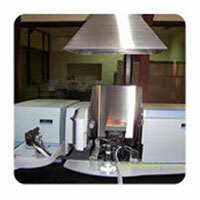 These are in huge demand in the scientific world and are appreciated for their higher accuracy. We provide these at highly competitive market prices in order to suit the budget requirements of our wide client base. We possess different types of Regulators that are highly useful in gas cylinders for the purpose of reducing high pressure. These Regulators are designed to be useful to all kinds of tools and can help in carrying out diverse types of procedures. 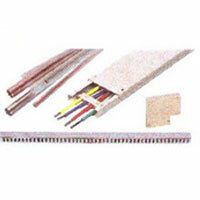 Our clients can avail these in bulk quantity at highly competitive market prices. leveraging on our vast market presence, we are manufacturing a wide range of tubing & casing capings. our products can be availed in plastic coated metallic with powder coating. The caping basically consists of gas lines from the instrument table to the gas purification panel. Furthermore, these are known to provide an attractive look to the laboratory with the help of channelizing through the casing. We offer IR And FTIR Accessories that are highly appreciated for their accurate dimensions. These are highly sought after in diverse kinds of applications related to the scientific area. Clients can avail these international quality products at highly competitive market prices. 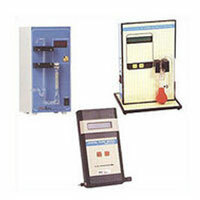 Moreover, we provide customization for our range of products as per the clients’ requirements.